Trucking businesses often try to put extra cargo into their trucks so they can make more profits by either using less trucks or delivering more goods. There are federal rules and local business requirements that regulate how much inventory can be put on a truck, how the loads should be secured, when the loads should be inspected, and what tools should be used. At Harris Lowry Manton LLP, our Atlanta overloaded truck injury attorneys fight for families and injured victims by holding truck drivers and companies accountable for being negligent or careless. We routinely handle cases involving multiple liable parties, and offer comprehensive representation on behalf of our clients throughout Georgia. The truck axles may bear too much weight and crack or fall apart. Overloaded trucks have a different center of gravity than they should, which can make it easier for the truck to flip over or jackknife. Shifting loads can make it difficult for the truck driver to retain control. If the driver loses control, the truck can crash into another vehicle, causing devastating injuries or fatalities. Spills can create havoc all over the highway. Truck shipments should be secured with dunnage bags, tiedowns, cradles, and other safety equipment. Trucks that carry large objects like pipes, concrete, steel, wood, and industrial equipment must comply with very specific FMCSA rules because, if these items fall into the road, the accidents can be catastrophic. 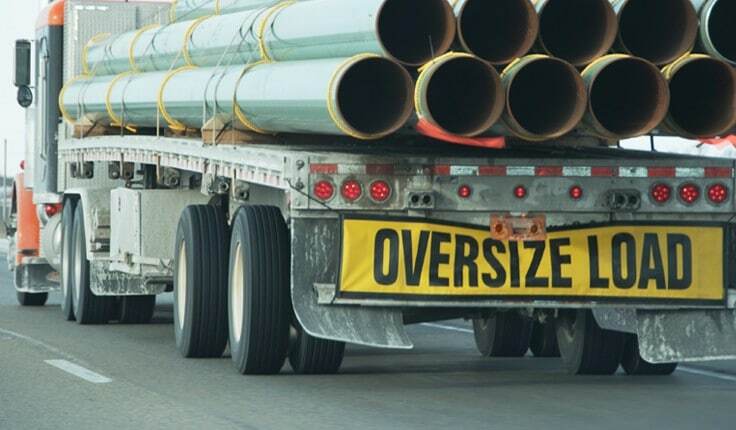 Visible warnings are required if loads are longer or wider than the truck dimensions, causing the load to overhang. Trucks must be lower in weight than the Gross Vehicle Weight Rating (GVWR) assigned to that type of truck. The GVWR usually factors in specifications set forth by the manufacturer of the various truck parts such as the suspension, powertrains, and truck frame. Trucks should not have loads that exceed capacity. Due consideration should be taken for the type of substances being transported. Liquids, gases, and solids each pose separate risks. Overloaded trucks are a severe danger to the drivers of the trucks and to all vehicles and pedestrians that may be nearby. Whether the accident happens near a construction site, a loading dock, or on Georgia roads and highways, the consequences of truck overloads are often devastating. At HLM, our Atlanta truck accident lawyers hold drivers, trucking companies, and truck part manufacturers accountable when their negligence or defective products cause crashes. For immediate help, please call us at 912-417-3774 in Savannah or 404-998-8847 in Atlanta, or use our contact form to schedule a cost-free appointment.